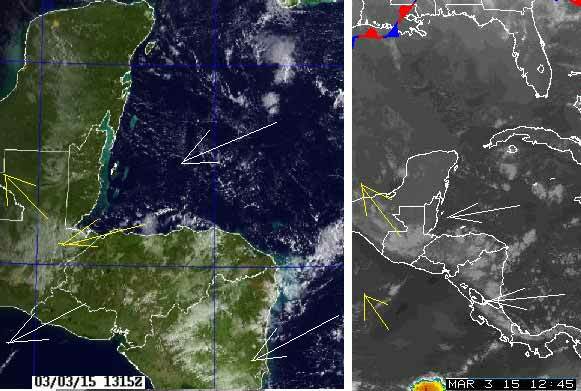 Belize NMS: Mainly fair weather is expected over most areas the next couple of days. 24-hour forecast: Sunny with a few cloudy spells today. Partly cloudy skies tonight and sunny with a few cloudy spells tomorrow. Showers will be isolated, except for a few over the south later tonight and tomorrow morning. Today: Winds: East 5-15 kts. ; seas: Choppy. ; waves: 3-5 ft.; a few showers south, decreasing. Tomorrow: Winds: E-SE 10-20 kts. ; seas: Choppy - moderate. ; waves: 3-6 ft.; mainly fair, warm and dry. Marine Outlook: Wednesday night:- Winds: E-SE 10-20 kts. With higher gusts. ; seas: Moderate - rough. ; waves: 4-7 ft.; small craft caution. ; mainly fair, warm and dry. General Outlook: For Wed and Wed night is for mainly fair, warm and mostly dry conditions to prevail. 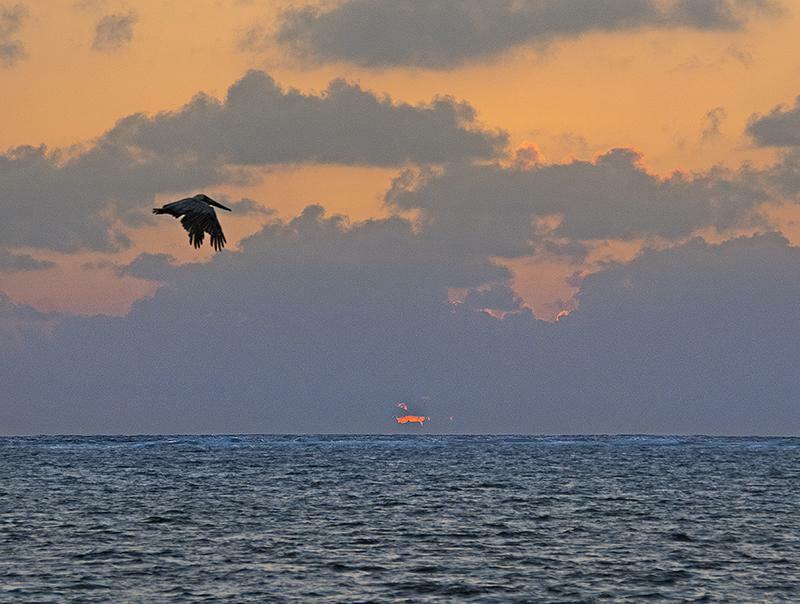 Sunny and warm on Ambergris Caye this morning with clear sky and a breeze from the East at 9mph. A foggy start to the day. The Caribbean winds are predominating, but coming in from the ENE today. They have the large patches of thick high cloud, some of which has gone over PG This could bring rain to some places.